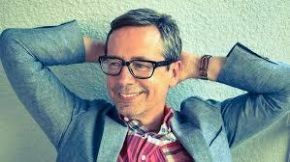 Taken from his critically acclaimed seventh solo album, ‘Woodland Echoes’, ‘The Stars’ - described by Mojo as a top 10 single and the best track on the album - it’s Nick Heyward first exclusive for Record Store Day. The song’s echo of itchy pop-funk recalls his early days as frontman of new wave group Haircut 100, a foundational part of the 80s pop explosion. The 10” clear vinyl will include the brand new track ‘Everyone & Everything’ on the flipside, which brings a swirling psychedelic 90s vibe to the release.